If you’re making the move to Rochester, congratulations! You’re about to start an exciting new chapter of your life in a small city with a distinctly cosmopolitan feel. Of course, if you’re relocating, you’re also dealing with the stress that comes from having to do at least a hundred different tasks that range from packing up the nice dishes to finding a new place to live. To make matters worse, they all have to be done in a limited time frame. The result is a maelstrom of chaos that can rattle even the most unflappable person. That’s where this moving guide comes in. 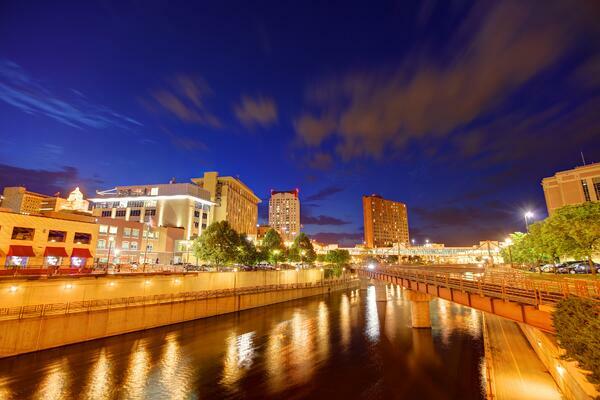 We’ve compiled all the information you need about Rochester, MN in order to get settled in more efficiently. This includes everything from where to go to get your utilities turned on (Rochester Public Utilities) to the best brewpub (Foragers Brewing Company). 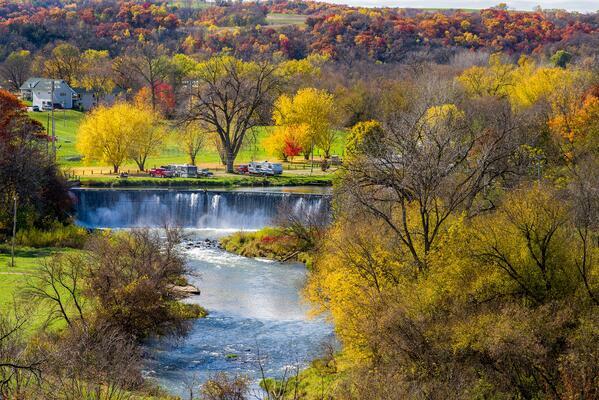 Rochester is located in southeast Minnesota, along the south fork of the Zumbro River. It was founded in 1854 and serves as the county seat of Olmsted County. One of the most important things to remember about Rochester is that it’s in Minnesota. You might roll your eyes at that, but we are just one of the 19 "Rochesters" in the United States! 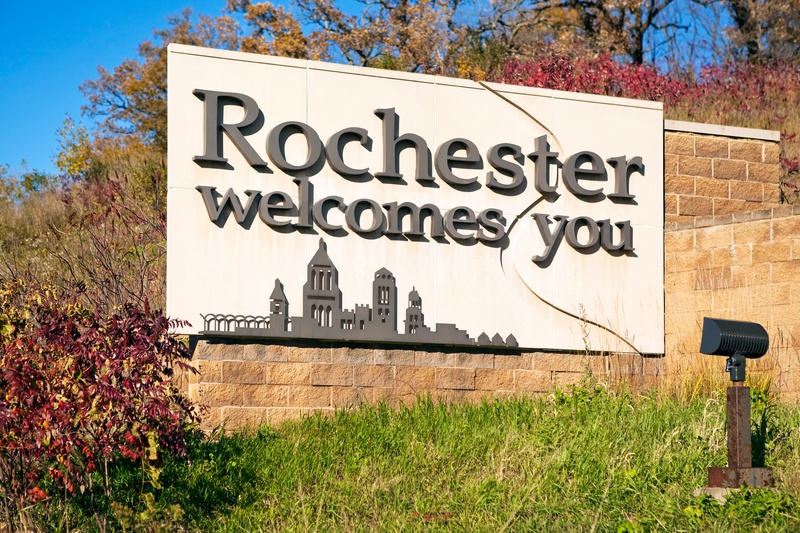 You may have heard of Rochester, New York, but Ohio, Texas, Nevada, Kentucky and Iowa also lay claim to a town named Rochester. 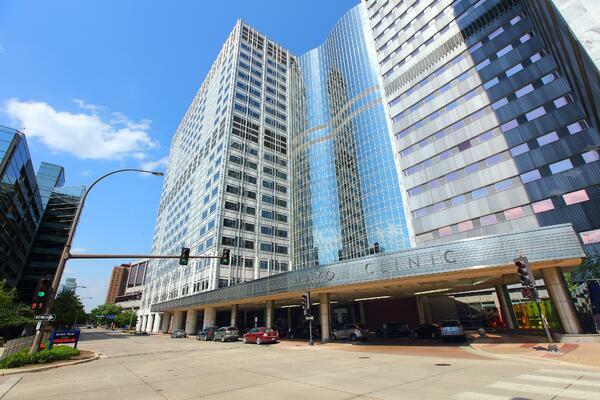 The biggest reason most people visit Rochester, MN is the world-famous Mayo Clinic. It’s the world leader in cutting-edge medical research, and treats over 1 million people from 136 countries each year. The Mayo Clinic is also the main employer of Rochester. If you didn’t move here to work at the clinic, you’ll definitely run into someone who has. The diverse people who visit and work at Mayo Clinic are a large reason for our vibrant downtown area. You’ll find abundant dining and shopping opportunities, as well as several hotels. You can access nearly all of them through Rochester’s unique sky-way and underground walkway systems. Rochester also has a strong community spirit. You’ll find it throughout the year in several festivals, including free movies and concerts during the summer. You’ll also find the Rochester Public Library, a 2018 National Medal of Museum and Library Science recipient. All of this makes Rochester a very nice place to live, and a lot of people agree. Money Magazine has consistently given Rochester a high ranking on its “Best Places to Live” index, and has made the top 5 multiple times. The American City Business Journal ranked Rochester as second in their Quality of Life index, and Kipler’s Personal Finance magazine ranked Rochester as one of the 10 Best Cities for the Next Decade. The first thing any Rochester native will tell you about living in Minnesota is how cold winter can get. They’re not wrong, either—sub-zero weather is not uncommon, and schools are closed due to wind chill as often as they are closed due to heavy snow. You will want to invest in a parka when you move here, if you don’t already have one. What sometimes gets overlooked, though, is that Rochester is a lot more than just a cold winter. True, the average low temperature for the year is 6 degrees Fahrenheit, but the temperature can also reach up to 81 degrees in the summer. Between those two extremes are comfortable, warm springs and crisp, cool autumns. Rochester is in a humid continental climate zone, so in addition to having four distinct seasons it also gets an average of 30 inches of rain and 48 inches of snow each year. It was also ranked as the second windiest city in America, according to the Weather Channel. If you’ve moved before coming to Rochester, you know that getting all your stuff moved into your new home is only half the battle. There are a lot of tasks that still need to be done. Here are a few of the most important things to remember to complete once your moved into your new home in Rochester MN. The most important thing you’ll need to do is get your utilities up and running. In Rochester, that means talking with Rochester Public Utilities. You can contact them at 1-800-778-3421 or contact them in person at 4000 East River Road NE any time between 8 a.m. and 5 p.m. You’ll need to allow one business day for your request to go through, and RPU may require a security deposit in some situations. If you have natural gas, you’ll need to need to visit Minnesota Energy Resources. You can contact them at 800-889-9508 or visit their start service page to open an account with them. One important thing to note—Minnesota Energy Resources requires two business days to process your request, so make sure you call them before moving in to your new home. This is more of a safety issue than anything else, but in the event of an emergency, you’ll be glad you know to shut off the power, the water heater or the furnace. Since you’re in the 21st century, you’ll want to get an Internet connection. Like most cities, Rochester has a couple options. Charter Spectrum has the largest footprint in the area, but CenturyLink is a strong competitor. If you happen to live outside both of those service areas, though, you can also get satellite service through HughesNet. It’s worth pointing out that both Charter Spectrum and CenturyLink also offer cable television subscriptions, and both companies have cable/Internet bundles. If you’d rather not pay the fee for weekly garbage collection, you can always drive to the Olmsted County Recycling Center Plus. It accepts recyclables and non-recyclables and is open from 8:00 a.m. to 5:00 p.m. Monday to Saturday. However, some items may have a fee to dispose of them. You will need to complete a change of address form to ensure your mail begins coming to your new home. It can take several weeks for everything to get changed over. You will also want to make sure to update your address for any billing accounts you have. You have some time (60 days) to get a Minnesota driver’s license and register your car in Minnesota, but you should do this as soon as possible. You’ll need to do both of these things concurrently, since you’ll need a Minnesota license to register your car in Minnesota. You’ll need to show the Rochester branch of the DMV your previous driver’s license, pass a vision test and then take a multiple choice exam that will test your knowledge about Minnesota’s traffic laws. If your old driver’s license has been expired for over a year, you’ll also need to take a driving test. Please be aware that Rochester has several DMV branches, but the only branch that offers a driver’s license exam is the one at 1633 North Broadway. When you get your new driver’s license and vehicle registration, you can also update your voter registration. If the clerk doesn’t offer it, be sure to ask. When compared to the other tasks, transferring your medical records will be a piece of cake, especially considering there is no time limit on when you need to do this. However, since your old provider has up to a month to process your request to transfer your medical records, you shouldn’t put it off. One of the advantages of being in Rochester is the abundance of doctors at both the Mayo Clinic and Olmsted Medical Center. This is the reason Rochester, MN is often affectionately referred to as the Med City. You have your choice of who you’d like your primary care provider to be, to a point, and that point is whether a provider is in your health insurance’s coverage network. You can find out which providers are in your health care plan by using your insurer’s healthcare provider look up tool. Most insurers will let you look up providers based on location and plan, but be aware that the information on their website might be out of date. Your best bet is to actually call your healthcare provider and speak with a customer service representative once you have selected a provider from their website list to confirm their availability. If you actually have a healthcare provider in mind, get your doctor’s tax ID number. Then call up your insurer to make sure whether the provider is actually in your plan’s network. Don’t just ask whether or not the health care provider is covered by the insurer, though—you need to make sure the provider is actually in your plan. Unpacking always seems like it will be simpler than it actually is. Just put the furniture in the right rooms, unload everything out of the boxes, and find a new home for it. What could be easier? It usually doesn’t work like that, though. Usually, you’re trying to find new places for things and realizing that all the furniture that worked in your old home isn’t quite going to fit in your new home. While there’s no way to reduce the workload, there are some steps you can take to make sure the process goes as smoothly as possible. First, make sure your new place is clean. If it isn’t, you’ll either want to hire a housekeeping service or do it yourself. In addition to the standard housecleaning chores, you’ll also want to make sure to wipe down everything, including inside cabinets, closets and the refrigerator. You may also want to wash the walls as well. Once you’re finished cleaning, start unpacking the bathroom supplies. You’re probably going to be sweaty and tired after moving in and unpacking. For most people, the best solution is to take a long, hot shower or a bath. In order to do that, though, you’ll need to have your new bathroom organized. You don’t have to have everything taken out, but you should at least have your soap, shampoo, shower curtain and towels out and ready. You’ll also want to have your toothbrush, toothpaste and other toiletries out so you’re not trying to locate them just before you want to go to bed. Head to the kitchen after you’ve got the bedroom and bathroom essentials unpacked. Concentrate on the large boxes that contain pots, pans and storage bins first. This will not only free up some space, it will also make you feel as though you are making a lot of progress unpacking, even if there are still a ton of boxes left. You may also want to save one or two of the large boxes. As you unpack, you’ll probably realize that some items need to be stored in the basement, given to Goodwill or just set aside until you figure out what to do with them. Set aside boxes and label where each one should go, then toss items in as you find them. One thing you may want to consider after you’ve moved to Rochester is setting up an account with a local credit union or bank. Granted, this isn’t a requirement. Thanks to the Internet, you can manage your financial accounts—including depositing checks—remotely. However, before you write off switching financial institutions completely, you should at least examine whether or not your current bank is meeting your needs. The first question you should ask is whether or not they have a convenient branch location. Even if you do use the Internet to manage your accounts, you should have the ability to meet face-to-face with a representative if you need to. Next, find out what fees your institution charges. Open up your last few bank statements and check them to see what fees you’ve been paying, including ATM fees, monthly fees and overdraft fees. If you’re paying these fees on a regular basis, you should look elsewhere for a financial institution that won’t charge you for keeping your money there. You’ll also want to take a look at the interest rates on your savings accounts or CDs. Most large banks have interest rates only slightly above zero. When you combine that with ATM fees and monthly fees, you’re actually losing money. If you’re going to maintain a savings account, look for a credit union or bank in Rochester MN that offers a competitive interest rate. Around 1% is considered competitive. An interest rate of 2% is very good, although you might have to meet some conditions, like maintaining a minimum in your savings account. Finally, find out whether your financial institution has any transaction limits. As incredible as it may seem, some banks limit their customers to a certain number of transactions per month. If your bank does have a transaction limit, consider transferring your account to one of the several financial institutions that do not or offer higher limits. Once you’ve selected a new financial institution, you can begin transferring assets from your old account to your new one. The process isn’t difficult, but it does take some time. In some cases, it can take up to 60 days, so you’ll want to get started well in advance. In fact, you might want to begin this process before you move, especially if you’re moving from out of state. The first step is to actually open your new account, which usually requires you to make a deposit that can be anywhere from $ 1 to $100. You probably already know to store your new account information, including the routing number and account number, in a secure location, but it’s worth mentioning. Once you’ve set up your new bank account, make sure you can transfer funds to and from it. First, try to transfer funds from your old bank account to your new one. Once you’ve transferred the funds successfully, try to make a sample payment. Use a credit card as a test case, but make sure you leave enough time to pay the bill if the transfer doesn’t work. Even after transfers and bill payment are running smoothly, don’t close down your old account just yet. Leave it open for another month and make sure there’s enough money in it to pay off any bills you may have forgotten about, like water or trash collection. You’ll also want to make sure you won’t miss any direct deposits you might have overlooked. When you’re satisfied you’ve transferred all bill payments and direct deposits to your new account, go ahead and close your old account. The best way to do this is in person. Make sure you get a written confirmation that your account has been closed for your records. Once you have the written confirmation your account has been closed, you’ll need to destroy all your remaining checks, debit cards and anything else that can be a tempting target for identity thieves. Once you’ve finally moved, take a moment and congratulate yourself. You’ve put a lot of time and effort moving into your new home, and now is the time to enjoy it. Of course, you don’t want to stay in your home forever. You’ll eventually want to get out and explore Rochester. Like most cities, Rochester has a lot to offer, and it can be overwhelming for a newcomer. 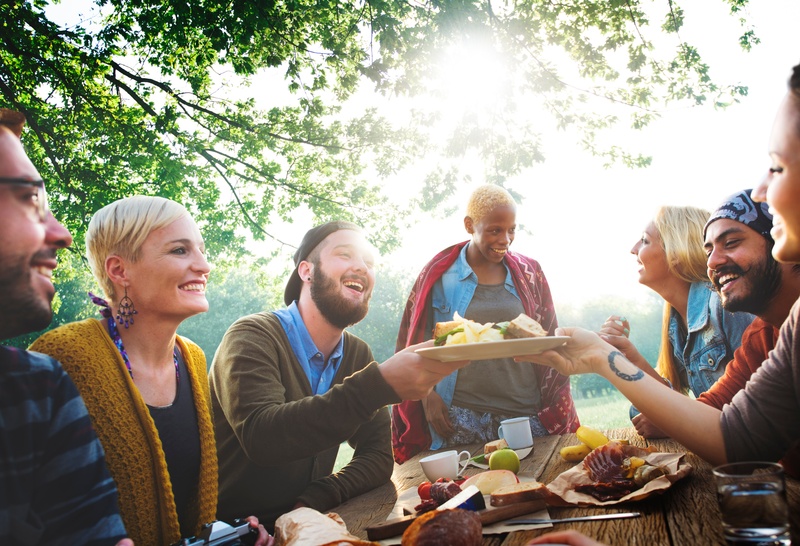 Fortunately, there are plenty of people who have had to relocate, and several of them have shared their advice for getting to feel at home in a new place. Since we’re living in the 21st century, there are a couple of apps to help you get around Rochester. While apps like Google Maps, Apple Maps and Waze can help you navigate through the city, these two apps will help you figure out what Rochester has to offer. Rochester Now—This app provides a central location for a lot of information about what to do in and around Rochester. It offers links to all the events calendars in Rochester, as well as links to popular Rochester blogs. It even offers a weather report and where to find Rochester institutions on social media. Perk Alert—Once you’ve been around, Perk Alert can let you know how to save money. It offers savings on everything from jewelry to gym memberships, and it regularly adds new deals for you. One of the first things you’ll want to do in Rochester is make sure you know the location of places like the nearest grocery store, gas stations and your children’s new schools. You’ll have to reach most of these locations by car, but once you have a chance, leave your car in the driveway and go out for a walk. Walking around your neighborhood makes you more aware of the real distance between places, which can get distorted if you’re in a car or bus. You definitely won’t be able to walk through the whole city, but you’ll get to appreciate the details about where you live. You might even discover a shop or coffee house that you missed while you were driving. After you’ve moved and started a new job, life can start to seem like an endless cycle of alternating time between your home and office, throwing in an hour here or there to roam around a chain grocery store. If coffee isn’t your thing, Rochester has plenty of other third space options. The Rochester Public Library is a fantastic space for you to work, and you might just find a new book you’ll enjoy in the process. You might also consider 125 Live, the Rochester center for adults and seniors or D6 games if you’d like to relax with a board game or two. One of the hardest parts of moving to a new area, especially a city, is feeling completely alone. One of the best ways to fight this feeling is to make a habit of going to the same place each week. If you can, go on the same day at the same time. Over time, the staff and other regulars will start to remember and recognize you, and this will really help you to feel as though you are seen and known. This type of casual familiarity can play a huge role in helping you to feel more at home. While bars or restaurants are an obvious choice, you can become a regular almost anywhere. As noted above, coffee shops are a fine choice, but you can also be a regular at your nearest convenience store, which could be anything from a Holiday gas station to an Asian food market. While casual familiarity is good, becoming friends with people who share your interests is even better. Almost every city will have some group that you like, whether you’re interested in board games, rock climbing or stamp collecting. The obvious first place to find groups with your interests is the website Meetup, which lets you peruse and join several groups, each one centered around a different category. You can join a group just to socialize if you’d like, but you can also find groups centered around book clubs, networking and even fashion and beauty. Rochester also features several associations you can join that offer regular classes. The Rochester YMCA, for example, has several fitness options, from racquetball to Zumba classes. You might also take some night classes offered by the Rochester Community and Technical College and attend lectures covering history, current affairs and arts and humanities. The Rochester Parks and Recreation department has several adult team leagues that range from football to kickball. Attend a few of the Rochester Community Education classes to meet people with similar interests. They offer both one time classes and year-round classes on a wide variety of hobbies and topics at affordable prices for both kids and adults. Regardless of what you choose, make sure it’s fun for you. You’ll be a lot more likely to return week after week, and before you know it you’ll have made some friends. Even if joining a group isn’t really your thing, at least get involved in a weekly event. Rochester has several of these, most notably Thursdays on First, a weekly outdoor market during the summer where food vendors set up tents alongside art and craft vendors, and live music is brought in. It’s a great way to interact with downtown Rochesterites and enjoy life for a while. If high-profile weekly events are not your thing, there are plenty of other weekly events in Rochester, ranging from Rochester Public Library events to informal gatherings, like new comic book day at the local comic shop. You may also want to take a look at Rochester’s Community Education program, which offers courses and events for family members of all ages. Volunteering at a local non-profit can also be an excellent way to make Rochester Mn feel like home. Again, pick something you’ll look forward to doing. Even though Rochester is a small city, it has a surprising number of tourist destinations. Perhaps not so surprisingly, most of these tourist destinations relate to the Mayo Clinic. The Plummer Building was built in 1928. It is named after its designer, Dr. Henry S. Plummer, who was not only an architect, but also a medical doctor and an inventor who created the pneumatic tube system. A tour contains a look at the historic third floor, where Drs. Charlie and Will Mayo had their offices. The Plummer House may not be as big as the Plummer Building, but it is no less impressive. Dr. Plummer designed this house as well, and visitors to the Mayo Clinic often come here to enjoy the formal gardens and the water tower. Mayowood Mansion is the immense home of Dr. Charles Mayo, built in 1911. Once you cease marveling at the gardens, go inside and take a look at over 40 rooms furnished with English, French, Spanish, German and American antiques. 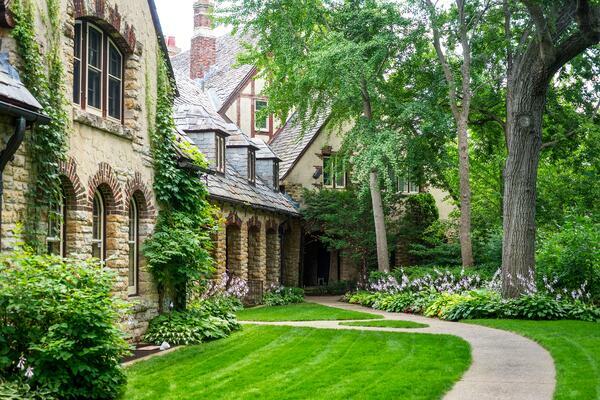 The mansion is owned by the Mayo Clinic and is listed in the National Register of Historic Places. The Heritage House is nestled in central park, just north of downtown Rochester. It was built in the 1800s and features period Victorian antiques to show visitors how people lived in the 1800s. For a bit more modern creations, check out the Mayo Clinic Guided Art Tour. The Mayo Clinic has several pieces of art on display, from a Rodin sculpture to some Andy Warhol prints. You’re sure to make some exciting discoveries on this tour. If you’re looking to get away from it all, the Quarry Hill Nature Center sits on the outskirts of Rochester just north of RCTC. It features an impressive selection of live Minnesota animals in its Exploration Hall, and the staff hosts several seminars and programs throughout the month. Even better, it has miles of hiking trails to explore—and the nature center rents out cross country skis and snowshoes in the winter. The Rochester Civic Theater is a non-profit organization that offers professional and community theater, as well as dance and live music recitals. Its seasons feature an ambitious mix of plays, while summer brings with it the Civic’s Free Friday Concert series. The Mayo Civic Center has recently undergone a complete renovation, and the results are breathtaking. The center has hosted everything from concerts to presidential rallies, and its event calendar is worth looking over to see if there is a show that catches your eye. If you want to appreciate Rochester in style, take a Trolley Tour. They offer historical tours Tuesday through Sunday and also provide special themed tours based on the season. If you like baseball, go to a Rochester Honkers They’re part of the collegiate Northwoods League, and play their games at Mayo Field. The Rochester Royals amateur baseball team also plays at Mayo Field. They’ve been around since 1924! Hockey fans can take in a Rochester Grizzlies This junior ice hockey team calls the Rochester Recreation Center their home ice. The Med City Football Club is a top-level amateur soccer team that plays in the North Conference of the National Premier Soccer League. This team meets at the Rochester Regional Sports Center of the Rochester Technical and Community College. One way to fit in that often gets overlooked is simple—reach out to your neighbors. While this might have been the norm 50+ years ago, nowadays your neighbors are just these people who you’ve been thrust into proximity with by chance and circumstance. Odds are you didn’t ask who would be living next to you when you bought your new home, and now that you’re living next to them your biggest hope is that they’re not the type who blasts loud music all night. Even though you may not have anything in common with your neighbor, getting to know them is well worth your time. After all, your neighbors can fill you in on some of the details of the neighborhood and give you some tips that will make settling in much easier. You’ll also be more than a face in the crowd to them, and if they see something amiss at your place they’ll be more likely to alert you or emergency services. Most Rochester neighborhoods have groups on the Next Door App. This app helps you connect with your neighbors through private social networks. You can easily stay up-to-date on what is going on in your neighborhood and even find babysitters if you need a date night! You’ve probably heard of those people who take the Yes challenge—no matter what someone asks you to do, say “yes.” Obviously, you don’t have to agree to do something dangerous, but if someone asks you to go out for drinks after work or join some friends for a movie, say “yes.” This can lead to experiencing all kinds of new experiences with a lot of new friends. If there’s one point to take away from most of these tips for feeling at home in Rochester, it’s that you should give yourself something to look forward to. If you think of getting out and exploring Rochester as a chore, you’ll never want to leave your home. Perhaps the most important thing to remember about feeling at home in a new city is to give yourself a break. Moving can be exhausting, and so can starting a new job. You’re allowed to want some quiet time. You’re also allowed to feel lonely, out of place, and even depressed. No matter how actively you are trying to get used to a new place, it does take some time before you acclimate. So in the middle of trying out new things and meeting new people, take some time to develop a home routine that includes cooking dinner at home and watching a movie or two on Netflix. As with most American cities, driving a car is the best way to get from one place to another. Highway 52 is the main north and south artery, while Highway 14 handles most east and west traffic. There are two things to keep in mind while driving around Rochester MN for the first time. First, Rochester streets go east and west while avenues run north and south. Second, Rochester is divided into four quadrants: Northwest, Southwest, Northeast and Southeast. As a rule of thumb, Broadway Ave is the split between West and East, and Center Street is the split between North and South Rochester. Rochester offers several public transportation options. The Rochester Public Transit system is convenient, inexpensive and punctual. It offers 40 different fixed routes on the weekday and eight Saturday routes. Rochester Public Transit also provides specialized transportation services to people who can’t use the fixed bus routes. The service is called ZIPS, and it operates from 5:30 AM to 10:30 PM on weekdays, 6:00 AM to 7:00 PM on weekends and holidays. If you’re going to take the bus, be sure to consult the website or smartphone app to make sure you know about any detours or events that might delay or alter the public transit service. If you think you’ll be taking the bus frequently, you can always pick up a bus ticket to cut down on costs. Bus tickets range from 10-ride tickets to annual unlimited tickets and are worth looking into, especially if you happen to live on or near a bus route. Rochester also has Uber and Lyft drivers that can take you around the Rochester area, including surrounding towns like Kasson, Byron and Albert Lea. If you like getting outdoors, Rochester has an extensive parks system, with over 85 miles of paved trails for hiking and biking. You could conceivably walk or bike all the way across Rochester if you were so inclined. 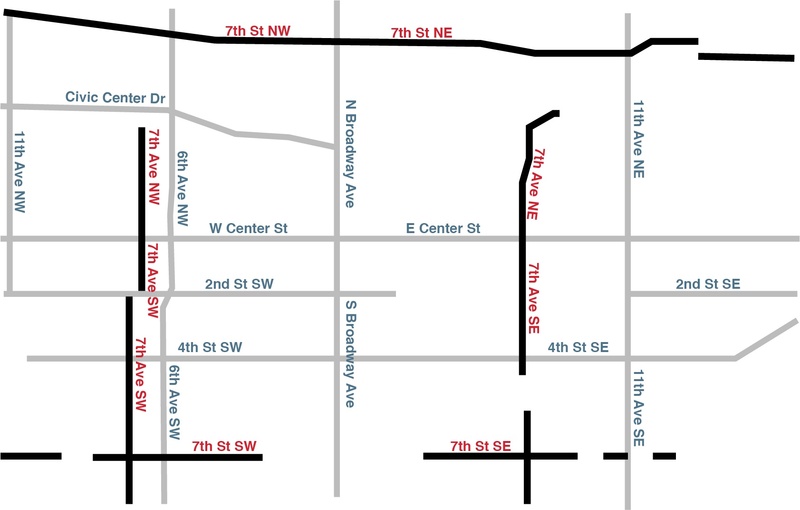 Most people, though, prefer the individual designated loops that will take you around different areas of Rochester, such as downtown, Silver Lake or the southern part of the Zumbro River. These loops can range from 1.5 miles to over 6 miles. Rochester also has several 5K routes. 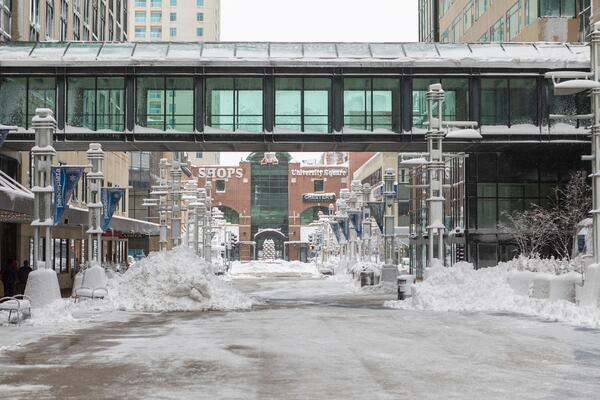 If you’re walking downtown, be sure to check out the Skyway and Subway systems. These two walkways are connected to most places in downtown Rochester, and can be a relief when trying to get around downtown during a blustery winter day. The skyway is the more limited of the two systems, but it will still get you to most buildings in downtown Rochester, from the government center to the Rochester Public Library. It also connects to the skyway-level First Avenue Food Court, which features several international and fine dining vendors. This dining area is a favorite of Mayo Clinic employees and downtown business people alike. The subway, on the other hand, extends to almost all of the buildings within Mayo Clinic downtown, as well as some of the downtown hotels. You won’t find an actual train system in the corridors, but you will find plenty of shops and restaurants. It can seem a bit confusing at times, but all the passages are clearly marked, and you can always ask one of the Mayo Clinic employees in blue vests for directions. Thanks in large part to Mayo Clinic, Rochester sees quite a bit of air travel. If you need to fly, the Rochester International Airport (RST) has daily flights to major travel hubs, including the Minneapolis-St. Paul airport, O’Hare airport (ORD) in Chicago, and the Hartsfield-Jackson Atlanta International Airport (ATL). The security lines for the Rochester MN airport are usually small and move quickly. The Rochester International Airport has several amenities, including a bar and grill. When you’re ready to get to Rochester from the airport, you can rent a car or call a cab. You can also get a shuttle from one of Rochester’s many hotels. Most of these are free, but some hotels charge for the service. Don’t worry—we’ve taken care of that for you. We surveyed our members (more than 16,000 people) to get “best of” recommendations in Rochester and the surrounding area in several different categories, which we are passing on to you! Rochester has over 100 parks where you can spend a pleasant, sunny day enjoying the outdoors. It is overseen by the Rochester Parks and Recreation department, who not only maintains the parks, but also sets up activities and classes. Parks and Recreation is also the go-to department for the amateur sports associations, including softball, volleyball, football, basketball and even dodge-ball. Our members almost overwhelmingly voted for Silver Lake Park as their favorite. 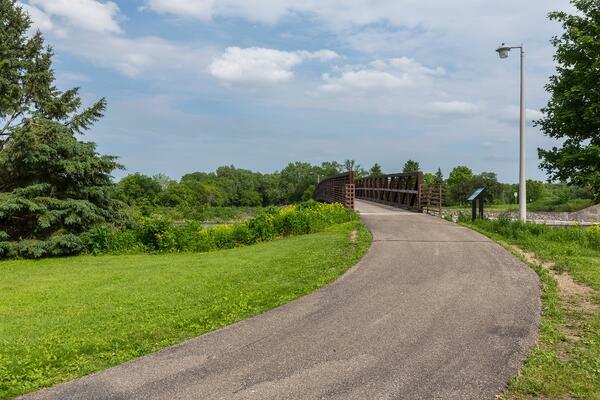 In addition to the sports fields surrounding Silver Lake, the park also has some fantastic walking paths that lead pedestrians over stone bridges and through pastoral forested areas. The park is also home to a skate park, a swimming pool and two playgrounds. Soldier’s Field was our runner-up. This park is also home to baseball fields, a community swimming pool and two playgrounds, but it’s also got a track and tennis courts. The park borders the Soldiers Field Golf Course to the south, and the north contains the Soldiers Field Veterans Memorial, which memorializes all of the southeast Minnesota veterans who gave their lives in service to the country. This park is also where the annual Rochesterfest celebrations is held. Our survey respondents voted Quarry Hill Nature Center as their third option. As noted above, people love the vast network of hiking trails that are even accessible in the winter, thanks to the nature center renting out snowshoes and cross country skis. They also loved the nature center at Quarry Hill, which has several native animals—and a Tyrannosaurus Rex skull!—on display. Oxbow Park in the neighboring town of Byron, which features the Zollmon Zoo, also made the list. So did the Foster Arend Park, which has Rochester’s best (and only) beach, along with some decent trout fishing. While respondents ranked Quarry Hill as their third-favorite park, they also ranked it as their first choice for a family attraction. Parents and children alike enjoy wandering through the Exploration Hall, and the staff put on several seminars and programs throughout the year. Respondents also rated Bowlocity high on their list. They offer bowling alleys, an arcade, a laser tag arena and a sports bar. They also host birthday parties and bowling leagues. Respondents also ranked Oxbow Park in the neighboring town of Byron as another favorite family attraction. Its main feature is the Zollmon Zoo, a free zoo that houses over 30 species of animals who make Minnesota their home. Over 50,000 people visit the zoo each year, and many of them also participate in the weekend programs or environmental education programs Zollmon offers at their nature center. Oxbow Park also has a large play area for children, and a campground next to the Zumbro river that features restrooms with showers and hiking trails. The Rochester Minnesota Children’s Museum is another wonderful family attraction. It is dedicated to helping children learn through playing, and offers several interactive exhibits. The Rochester Children's Museum is a satellite site of the larger Minnesota Children's Museum located in the Twin Cities, about 90 miles north of Rochester. Our survey respondents rated the Riverside Concerts as the best source for live music almost overwhelmingly. This series of concerts is put on for free by the city during the summer months by the Mayo Civic Center, and past bands have included the Gin Blossoms, the Spin Doctors, and Jefferson Starship. There are also several music festivals throughout the summertime, such as Five West Music Fest and Foster Fest. The Mayo Civic Center came in second place in our survey, and with good reason. It offers concerts ranging from choral concerts to “Weird Al” Yankovic, with everything in between. It is also the location of many community events and programs throughout the year. Thursdays on First came in third in our live music survey. This event takes place every Thursday during the summer and features live bands playing while over 100 local vendors sell food, arts and crafts. It's a can't miss Rochester summer event! Rochester has three movie theaters, the CMX Chateau, the Hollywood 12 Cinemagic Theater and the Marcus Rochester Galaxy 14. Honestly, they’re all pretty good. However, our readers recommended the CMX Chateau over the other two, primarily due to the large reclining seats in each theater. Rochester has several events throughout the year for members of the community. Our members selected Rochesterfest, a week-long event which takes place during the summer. It features events in and around Rochester, including a free movie in the park, a stage that showcases everything from live bands to karaoke and an ice cream social. Rochesterfest also features a treasure hunt, where a medallion has been hidden somewhere in Rochester. The first person to find it wins $1000. Needless to say, a lot of people try to find it each year. Thursdays on First also rated very high on our survey. 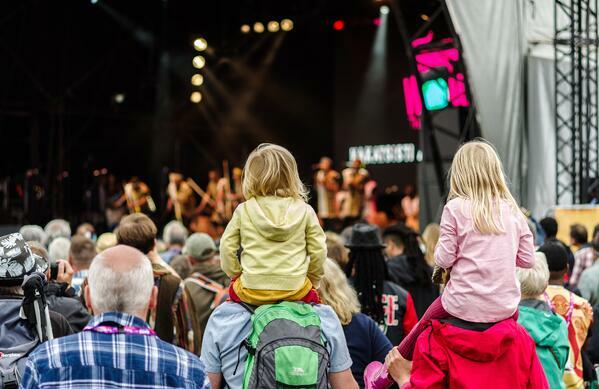 Residents love the combination of good food, high-quality arts and crafts and live music on two stages that makes the summer feel just a bit more special. Respondents also selected the Olmsted County Fair as one of their favorite events. The Olmsted County Fair has all the events you’d expect at a county fair, including a grandstand stage with musical acts, carnival rides and the popular miracle of birth center, where children can see farm animals with their babies. Rochester has no shortage of gyms and fitness centers. Our members chose the Rochester Athletic Club as their first choice, and with good reason. Membership to this workout facility gives you access to a gym, indoor and outdoor pools, and access to almost every type of sports court. The Rochester YMCA came in second in our survey. The “Y” membership gives you access to its pool area, multiple gyms, multipurpose rooms and racquetball courts. You also get access to programs for everyone from children through adults that help you improve your physical and mental health. Survey respondents also liked the Planet Fitness franchise. Unlike the R.A.C. and the YMCA, Planet Fitness focuses more on being a gym and fitness area. However, it also includes fitness classes, massage facilities and tanning beds. If you’re a Mayo employee, we’d be remiss in mentioning that the Dan Abraham Healthy Living Center is an option. This high-end gym has everything, from workout machines to free weights to healthy living courses. However, only Mayo Clinic employees, their spouses and select volunteers can become a member at this fitness center. You definitely won’t starve for options when looking for a place to eat in Rochester. A wide selection of restaurants ranging from ultra-chic to greasy spoon diners is at your disposal. Whether you’re looking for a cup of morning joe or a little pick-me-up in the afternoon, Rochester has plenty of coffee shops ready and willing to give you your caffeine fix. Respondents liked Caribou Coffee first and foremost. It has a lot of standard coffee shop options, it has ten locations throughout the city. The runner-up was Dunn Brothers coffee, a coffee chain started in Minneapolis. This gives the small-batch coffee they serve a “home state” flavor that’s hard to beat. Starbucks came in third. If you’re even remotely interested in coffee you know who they are. The respondents to our poll selected Five West and Denny's as their top two choices for their favorite breakfast stops. Brothers Bar and Grill rounded out the top three spots with its breakfast menu. If you’re an early riser, you can drop in as early as 6 a.m.
Rochester has several restaurants that have delicious lunch menus. Panera came in first in our survey, but a lot of respondents also liked some local favorites. Nupa, a Greek Restaurant, also scored high on our survey thanks to its lunch combo specials and multiple locations. Whistle Binkies Olde Worlde Pub also scored high, as did the Canadian Honker, a family restaurant located across the street from the Mayo Clinic’s St. Mary hospital. Our respondents had a lot of different opinions on the best dinner spot. Chester’s Kitchen and Bar in the Shops at University Square ultimately got the top spot. It serves “Classic American Food,” and offers great seasonal outdoor dining options. The local Texas Road House branch came in second, while local Italian restaurant Victoria’s took third. Other local restaurants also did well on the survey, including Twigs, Hubbell House and Five West. Thanks in large part to the Mayo Clinic, Rochester has a steady influx of young professionals, many of whom like to socialize after work. This is where happy hour comes in. Respondents to our survey selected Whistle Binkies Olde Worlde Pub as their favorite happy hour spot, but runner ups Wildwood, Applebee’s and Cowboy Jack’s also had a very strong showing. While Mayo Clinic and the Olmsted Medical Center dominate the medical landscape here in the Med City; Rochester also has plenty of independent and franchise clinics providing dental, optical and pharmaceutical aid. Rochesterites’ favorite pharmacy was definitely Walgreens. HyVee’s pharmacies came in second, while the Wal-mart pharmacy took third place in our poll. Respondents favored the Mayo Clinic and Olmsted Medical Center when it came to eye car. Visionworks in the Apache Mall came in third. We ended up with a tie in this category. Respondents thought 12th Street Dental and Northwest Dental Group were equally good. Apollo Dental Center rounded out the top three. No matter how handy you are, every now and then you need a professional’s help. We asked our members to recommend the best mechanics, plumbing, and electric companies. survey respondents selected Joe’s Auto & Tire as their favorite auto mechanic. They also liked Automotive MD and Black's Automotive Service. K&S Heating, Air Conditioning, Plumbing and Electrical took first place as Rochesterites’ plumber of choice. They were also one of our survey’s top choices for electrician, too. Rochester Plumbing and Tonna Mechanical took second and third place in our poll. The respondents in our survey had a lot of different opinions as to which electrician was the best. Eventually, though, they settled on Winkels Electric as their favorite. Ryan Electric of Rochester came in second, while Kuntz Electric came in third. While Rochester has plenty of attractions, you can find a lot of hidden gems in small towns in the area. We mentioned previously Oxbow Park/Zolloman Zoo in Byron, but there is also the fire tower in Elba and the Spam museum in Austin that are perfect southeast MN destinations for a weekend trip. Our survey respondents selected historic Lanesboro as their favorite neighboring town, thanks in part to the immense amount of things to do. If you don’t want to float down the Root River, you can browse through Lanesboro’s shopping district, go on a bike tour, take in a play at the Commonweal Theater Company or dine at one of the restaurants in the area. If you’re in the mood, you can also travel to nearby Whalan and have a slice of pie at the Aroma Pie Shoppe. Lake City came in at number two, so named because it is built on the shores of the Mississippi river. It features year-round activities from boating to snowboarding, and several fantastic boutiques in the downtown area. It’s even the rumored home of “Pepie,” the Mississippi River’s own version of the Loch Ness Monster! Another town built on the shores of the Mississippi River is Winona, our members’ third choice. In addition to being a popular destination for tourists, it’s also the home of Winona State University. Perhaps that’s why there are so many restaurants and events, including the Great River Shakespeare Festival, the Midwest Music Fest and the Great Dakota Gathering. Winona also features some incredible museums, especially the Minnesota Marine Art Museum. 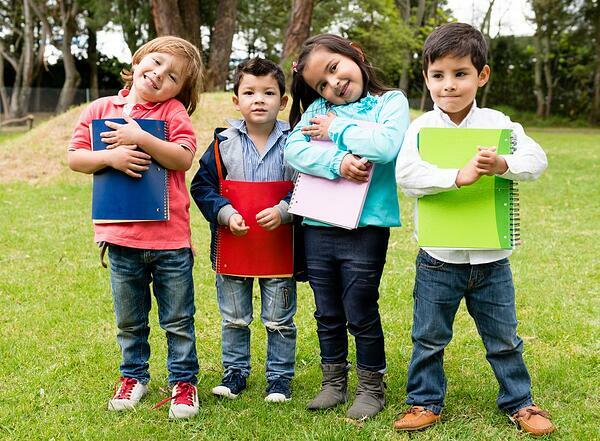 If you have young children, you’ll eventually encounter the Rochester School System (ISD 535). For the most part where your child attends school this is something you have no control over—where you live usually determines where your kids go to school. Also fun fact, the Rochester Public School system in the second largest employer in the city. Rochester also offers some district-wide schools, where students are taught differently than the standard neighborhood schools. If you are interested in enrolling your student in one of these schools, you may fill out an application online or send a hard copy to the Rochester Public School system. If you’re looking to continue your education after you’ve moved, Rochester has three colleges in the area. The University of Minnesota Rochester offers undergraduate and graduate programs, as well as top of the line community education efforts. Many people love the Rochester Community and Technical College. It has several Associates Level courses, Diplomas and Certifications, including several degrees that can immediately be put to use. Several universities also have smaller branches in Rochester, including Winona State University, Augsburg University and St. Mary’s University. Post Bulletin—Rochester’s daily newspaper runs Monday through Saturday. Rochester Magazine—Monthly magazine covering local events, culture, style and entertainment in Rochester. Rochester Women Magazine—A magazine by women for women, published independently. 507 Magazine—The weekly entertainment guide covers the latest information on food, music, drinks, and theater. 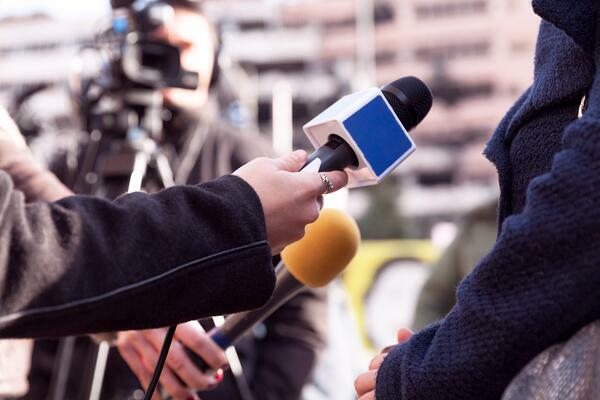 Med City Beat—Launched in 2014 by journalist Sean Baker, Med City Beat is an independent news source covering government, business and culture in Rochester, Minnesota. Rochester Mom’s Blog—A blog for moms, by local Rochester moms. Has a lot of information about monthly events and navigating the challenges of being a mom. Destination Medical Center (DMC) Blog - You will hear a lot about this local initiative around town, this is where you can keep up on the latest developments and plans for DMC. Rochester has no shortage of local radio stations to choose from, you will find something for almost every musical taste or preference to jam out to on your drive to work. The local radio station often bring some of the best concerts and events to town as well. Once you know your way around Rochester and have started to establish a routine, you may need to think about settling down financially. After all, you’ve just finished up a major project in moving in and getting settled and likely spent hundreds, if not thousands of dollars in the process. It’s time to take stock of your new financial situation and replenish your savings. The first thing you need to do is re-establish some healthy financial habits. Since you’re in a new home with new expenses and, more than likely, a new job (and hopefully a new income to go with it), your first step should be to establish a new budget. Add up all your known expenses. Be sure to factor in an amount for insurance and miscellaneous expenses. Subtract your expenses from your income and make sure you have some money left over. If your expenses are more than your income, you’ll need to find some extra money in your budget. Once you get a budget established, make sure to stick to it. You’ll also want to make sure your budget plan is workable. After a month or so, when you’ve gotten used to your budget, you can start to improve on it. Look at different types of budgeting techniques and see which one works best for you. You can also use a budget tool to make the process easier. Depending on your circumstances, you may have also had to dip into your savings or leverage your credit card in order to finance the move. If you’re someone who has really thought ahead, you might have even prepared an emergency fund solely for the move. Do comparative price checks when shopping and look for coupons and discount offers. Make a list of groceries you’re going to buy before you go shopping to cut down on impulse buys. Use cash or your debit card instead of your credit card for a month or two. Rochester has something for everyone. No matter what your interests are, there’s sure to be something in the city for you. Once you’re ready, start walking the skyway. Stop in to Café Steam for a hot cup of coffee or Pasquale's Pizza for a pie slice, or check out the latest events at the Rochester Public Library. Stroll around Silver Lake, then hit Chester’s for dinner. 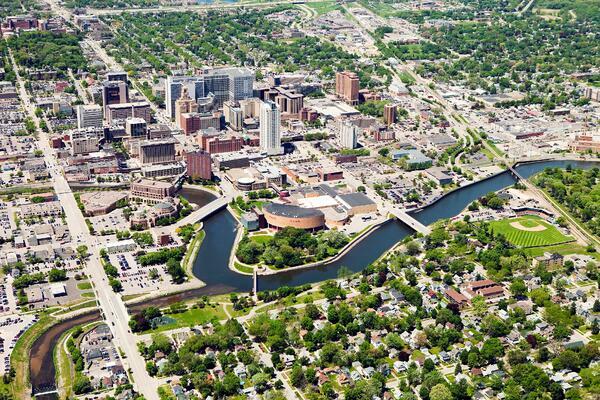 You’ll feel right at home in Rochester MN in no time. You've moved. Now it's time to reassess your financial situation. Let one of our financial experts help you make a plan to achieve your financial goals for your next stage in life. Get actionable insights into making your financial future, even brighter. No judgement, only guidance. Let's talk!